This was a 19 year old primi with history of consanguinity.The scan was done in the first trimester. 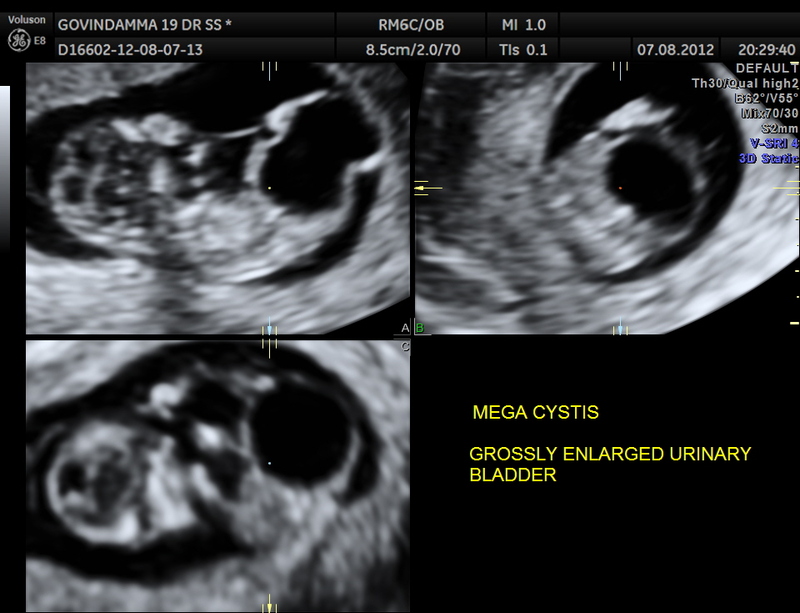 A large cystic mass was made out in the lower abdomen. 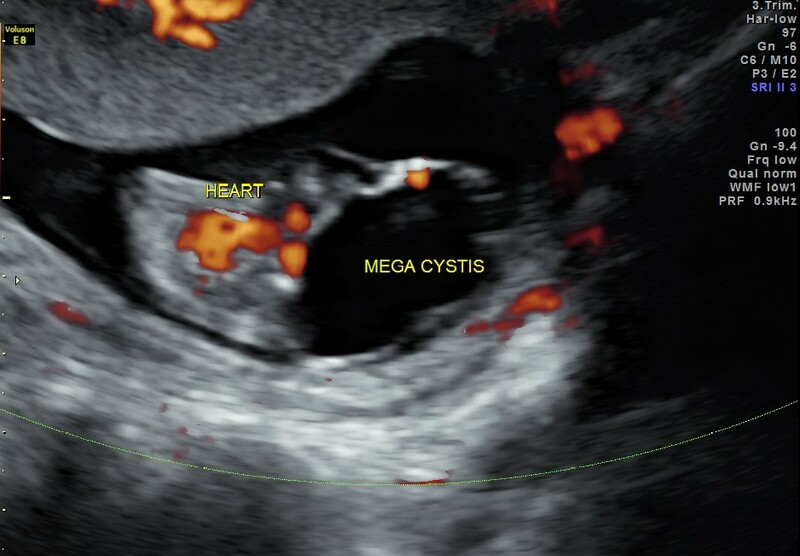 The following text about mega cystis can be found in http://radiopaedia.org/articles/fetal-megacystis. 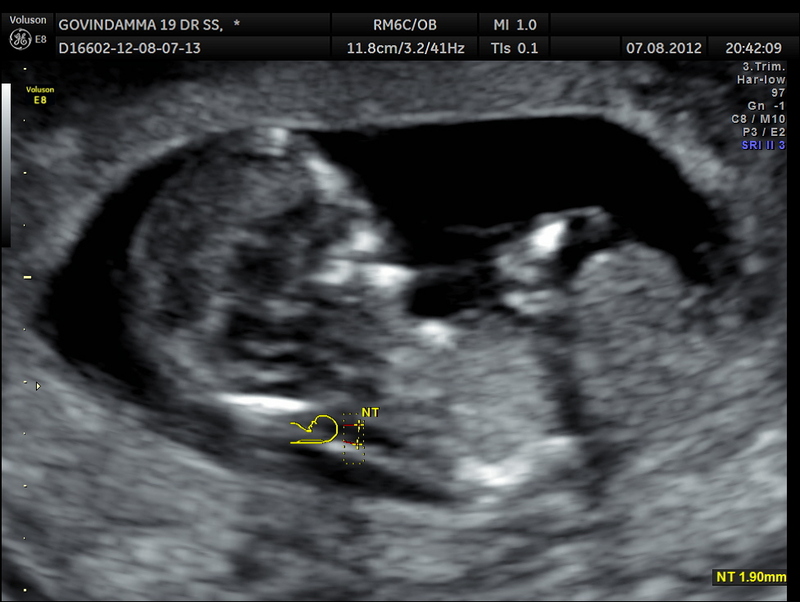 The estimated incidence of antenatal imaging is at ~ 1 : 1500 pregnancies. It can result from a number of causes but with the main underlying mechanism being either a distal stenosis of reflux. 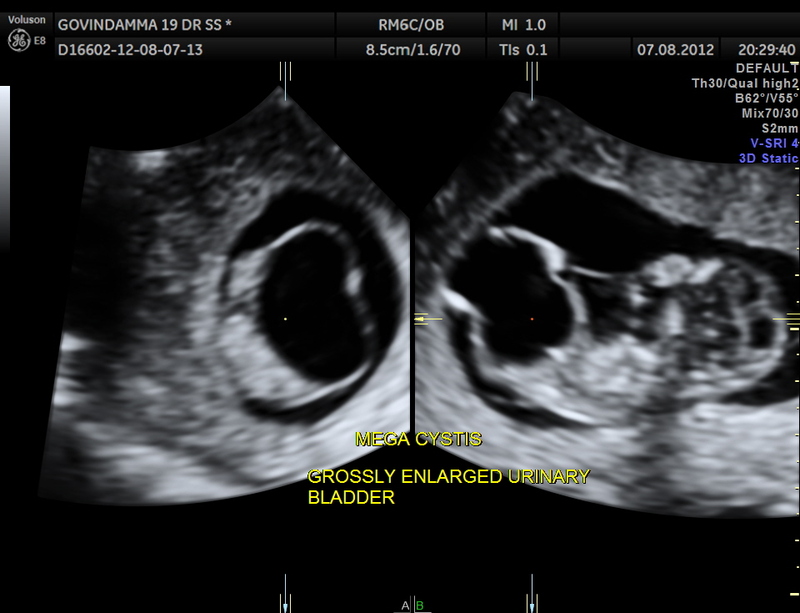 there is spontaneous resolution of the megacystis in about 90% of cases when the 1sttrimester longitudinal bladder diameter is between 7 – 15 mm 4. I’ve never seen a picture of this before. Good work!